Point England Sport: It's 2015! Where has the year gone? 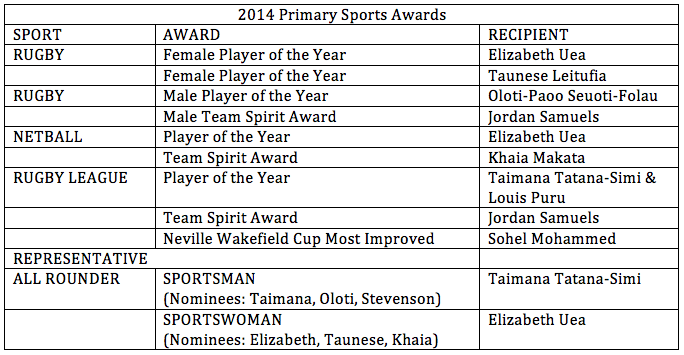 Before I start posting lots about what we've been up to so far this year which has been heaps, I would like to share a list of our best sports people for 2014. 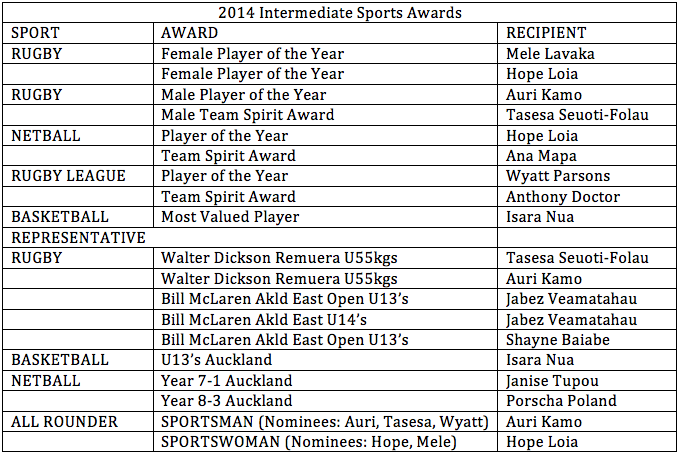 The following students received awards at our annual end of year school prizegiving.